About $22 million in state and federal grants were awarded last week for Puget Sound ecosystem restoration, another installment in the struggle to nurse Puget Sound back to health. 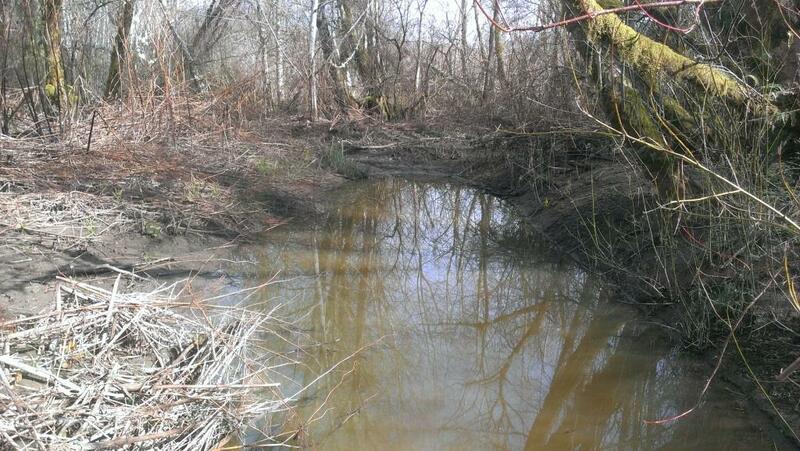 About $12 million in state and federal funds came through the Estuary and Salmon Restoration Program, or ESRP, under the Washington Department of Fish and Wildlife. As the name suggests, these funds are focused on improving nearshore and ecosystem processes. Another $10 million came from the Puget Sound Acquisition and Restoration (PSAR) Fund, which is focused mainly on salmon restoration. More of those funds will be awarded before the end of the year. Reporter Tad Sooter and I wrote about the West Sound projects in Friday’s Kitsap Sun (subscription required), focusing a good deal of our attention on a key acquisition of property on the Bainbridge Island shoreline along Agate Passage. The property includes 4.5 acres of tidelands, including 550 feet of undeveloped beach, along with 7.5 acres of upland woods and meadows, all to be preserved by the Bainbridge Island Land Trust. 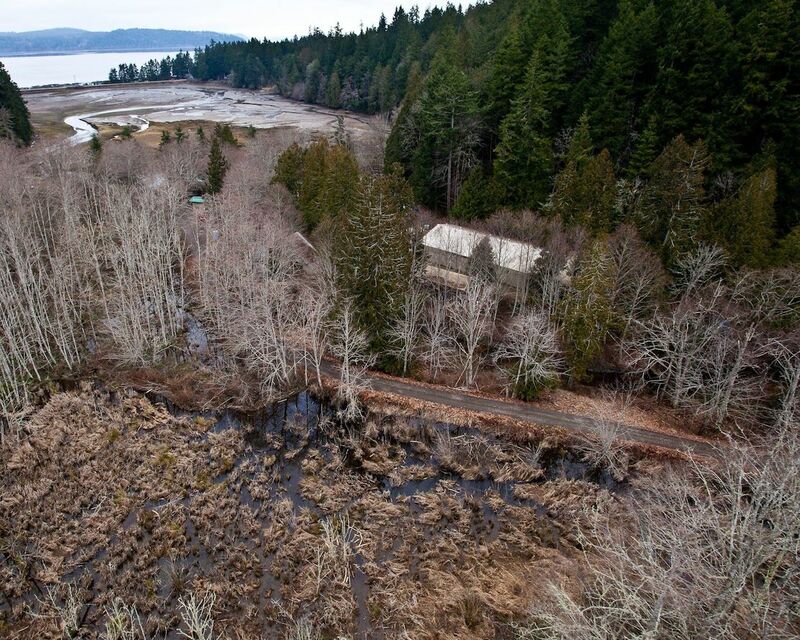 Brenda Padgham, stewardship director for land trust, told Tad that this property is one of the last intact nearshore habitats on Bainbridge Island. “The whole reach is so pristine,” she said. Of the $1.2 million provided for the Bainbridge Island purchase, $810,000 came from the PSAR funds and $396,000 came from the ESRP. Betsy Lions, who manages the ESRP for the Department of Fish and Wildlife, said most of that money this year will go toward removing unnecessary bulkheads, replacing culverts that block salmon passage and restoring tidal functions. The 20 ESRP grants are described in a news release from Fish and Wildlife. The 11 PSAR projects are outlined in a document (PDF 106 kb) on the state Recreation and Conservation Office’s website. 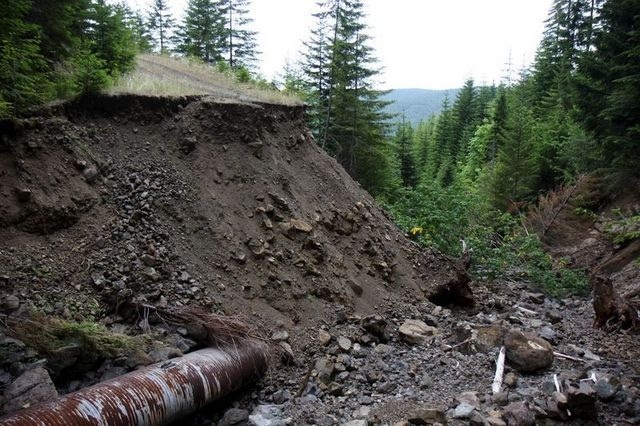 By the way, projects in Hood Canal were held up until October, as members of the Hood Canal Coordinating Council continue discussions about priorities. What’s to happen with funding for Puget Sound? Finding money for Puget Sound restoration is likely to become more difficult next year as legislative power shifts to Republicans in the state Senate and the Legislature wrestles with funding for education. The power shift follows the defection of two Democratic senators to effectively create a Republican majority in the Senate. See reporter Mike Baker’s story for the Associated Press. The upcoming budget debate will no doubt revolve around new funding for education. The State Supreme Court has ruled that the Legislature must find more money to fund basic educational needs, as required by the Washington State Constitution. Gov. Chris Gregoire has been talking about proposing a new dedicated tax, but now opponents of tax increases will have a stronger position. Gov.-elect Jay Inslee ran on a no-new-taxes pledge, so it is likely that all state programs will go back on the chopping block, and nobody can predict what will come out of the turmoil. Inslee told me a month ago that he could not predict whether Puget Sound programs would get more or less money, but he considered the state’s “paramount duty” to be education. Please review the Kitsap Sun story on Nov. 15. “We kept putting money in… I kept pushing for ongoing funding, and we will have to continue to do that for awhile. “When the recession hit, I have to say that everybody’s attention got drawn away. People wondered, ‘Can I put food on the table? Am I going to lose my job?’ It was so all-consuming that I couldn’t focus on the sound. “There was a lot of talk about a flush tax. We have never really done the research on it. The last couple of years was no time to be thinking about that. We have demands for education and transportation. But at some point we will have to find the ability to (pay for) more capital projects. Gov. Gregoire also acknowledged to me that federal funding for Puget Sound could become more difficult with the retirement of U.S. Rep. Norm Dicks, who has been a powerful advocate for Puget Sound. On the other hand, she has hope that Norm’s effort through the years and the establishment of the Puget Sound Partnership with provide ongoing credibility for the program. She also believes that Norm’s replacement, Democrat Derek Kilmer, will be a strong advocate for Puget Sound, along with the state’s two U.S. senators. Other comments from my interview with the governor were used in the first story in what will be an ongoing series about the Puget Sound Partnership’s ecosystem indicators. See Kitsap Sun, Nov. 24. Speaking of money for Puget Sound, the Salmon Recovery Funding Board has approved $19.2 million statewide for salmon projects next year. I focused my story in yesterday’s Kitsap Sun on estuary projects in Hood Canal, but the full list of projects (PDF 279 kb) can be downloaded from the website of the Recreation and Conservation Office. Hood Canal Coordinating Council is undertaking an effort to bring average residents into the discussion about how to preserve the Hood Canal ecosystem. While Hood Canal is becoming known for its low-oxygen problem and occasional fish kills, it’s good to remember that the canal remains famous for its shrimp, oysters and crabs. Furthermore, history tells us that the canal once abounded in sealife, including all kinds of salmon and bottomfish. The underlying premise of the Hood Canal Integrated Watershed Management Plan is that people can find ways to benefit from a healthy ecosystem, that natural processes — including the survival of plants and animals — can continue without wrecking the lifestyles of humans. Check out my story in the Kitsap Sun Oct. 26 for an overview of this project. Humans benefit from and coexist sustainably with a healthy Hood Canal. 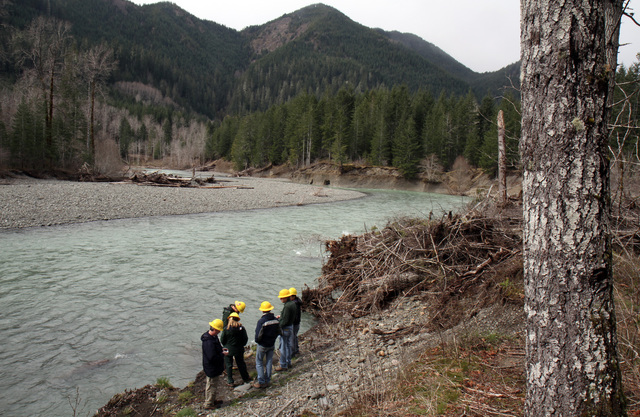 The Salmon Recovery Funding Board has approved the list of salmon-restoration projects put forth by regional planning entities — a total of nearly $43 million in all. 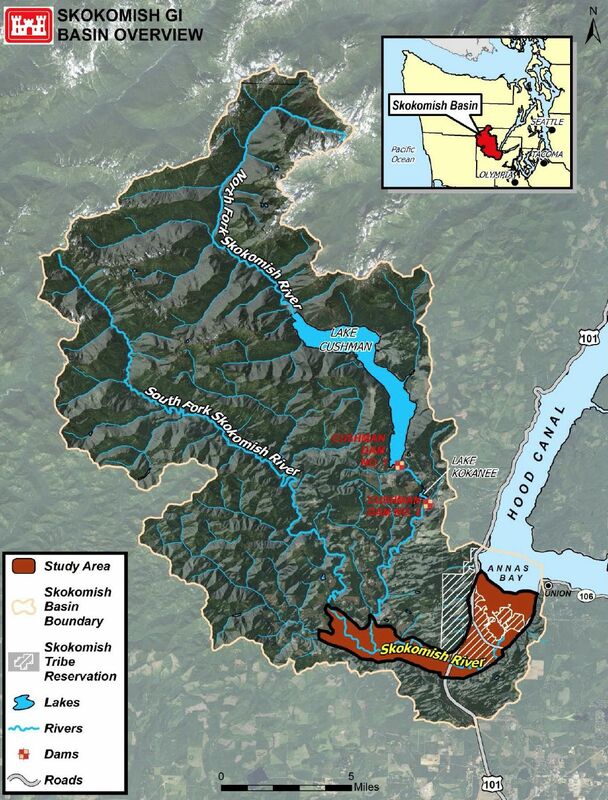 In a story in today’s Kitsap Sun, I list the projects in the Hood Canal and East Kitsap areas and remind readers of the work going on in the Skokomish River watershed. A grant of $1.7 million to the Skokomish Tribe was the largest given out for next year, though it actually was approved last May. If you haven’t seen my four-part series, “Taming the Skokomish,” you may wish to take a look. It outlines the historic problems in the watershed and describes actions being taken to correct them. “Salmon are an important part of Washington’s economy and culture. These grants are helping us reverse the decline in salmon populations we’ve seen over the past two decades. These grants are not only good for salmon, the environment and the people of Washington, but they are good for the economy because much of this money will be awarded to local organizations to do restoration work in their local communities. To review all the projects listed by county, download the project document (PDF 178 kb) from the SRF Board’s Web site. Last week, U.S. Sen. Patty Murray announced in a news release that she was able to keep $80 million in the Pacific Coastal Salmon Recovery Fund for FY 2010. This is the fund that provides much of the money for these salmon recovery grants. Earlier this year, the Obama administration eliminated this fund dedicated to Northwest states and put money into a fund for the recovery of fish stocks nationwide. I was told at the time that it was kind of an oversight by some staffers who had proposed the change during the Bush administration. U.S. Rep. Norm Dicks, D-Belfair, secured a promise of $50 million in the overall fund to be set aside for Northwest salmon. But Murray and other senators were able to restore the fund itself and increase the federal contribution. That fund has now survived the conference committee’s review and is expected to become law. Some of that money will come to Washington state for the next round of funding. 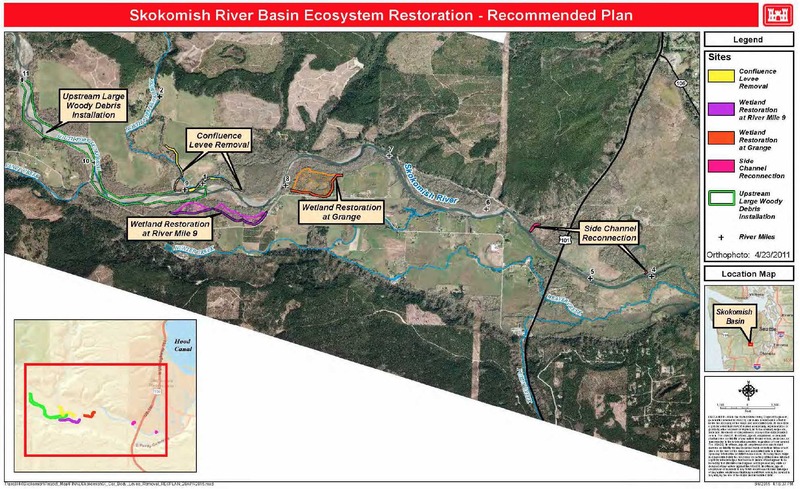 Washington state’s Salmon Recovery Funding Board on Thursday awarded nearly $20 million for ecosystem restoration projects next year. I outlined the projects for the Kitsap Peninsula and Hood Canal in a Kitsap Sun story last week. It’s worth noting that Gov. Chris Gregoire continues to tout the economic benefits of environmental restoration, as well as the benefits to Puget Sound, the Columbia River and other important ecosystems. Some observers say Puget Sound restoration will be proposed as part of this state’s economic stimulus package to be funded by the federal government.